"We pride ourselves on having a wide selection of unique maternity styles at prices mostly under $20. By selling exclusively on the Internet, Kiki's Fashions is able to maintain very low operating costs and we pass those savings on to our customers by offering prices 15%- 30% off many of our competitors. We also change our inventory often, so our customers always have access to today's hottest fashions and trends." I LOVE this purple maternity sweater that Kiki's Fashions sent me to review! Head on over to What Mama Wants for my full review and for your chance to win a $25 credit to Kiki's Fashions! If you need a chuckle today. Amazon Black Friday Deals Week is here!! Fabulous deals on hot holiday items, plus "lightning deals" being announced nearly every hour! Last year my husband and I did nearly all of our holiday shopping through these awesome deals! Here's a stocking stuffer that's on many wishlists this year - Bridesmaids on DVD for only $5.00 (Save 80%). You can also snag this deal on Blu-Ray for just $9.99! FREE Personalized Birthday Card from Tiny Prints - TODAY ONLY! Tiny Prints knows that sometimes our friends with birthdays around the holidays don't receive all the celebration they deserve. Don't forget these special birthdays (and definitely don't gift with a holiday gift item... that's just tacky). For TODAY ONLY, Tiny Prints is offering a FREE, personalized birthday greeting card to all their customers. Simply create your birthday greeting here, and choose the option to "mail it to me first" so that you aren't charged the price of a stamp. During checkout, enter code: FREEBD. As with all of their other offers, you will need a valid credit card for your order to be processed. However, you will not be charged for your free card unless you choose additional mailing services. Enjoy this offer! Who will you be getting a card for? Disclaimer: I was in no way compensated for this post. Just sharing a great deal! FREE Carseat Canopy with 100% Minky Interior. Perfect for the Cold Months! Retailing at $49.95, these canopies are made to adjust to any make or model of carseat with adjustable straps, are machine washable, and have an interior of the softest 100% polyester minky. Right now you can snag a Carseat Canopy for FREE with the code SEVENSLINGS - simply pay shipping and handling and your order will be processed in 2-8 business days!! For even more savings, you can buy the "Whole Caboodle" sets (a $135 value) with the SEVENSLINGS code for just $29.95. It doesn't get much better than that! 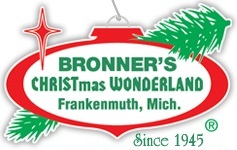 Having grown up in Michigan, I certainly knew what Bronner's was. In fact, you'd be hard pressed to find someone who didn't know about this amazing CHRISTmas Wonderland within the great mitten state. For those visiting Frankenmuth, it's a Christmas festival that never ends and joyously celebrates the birth of Christ all throughout the year. For the rest of us it is the perfect one stop holiday shop for all our Christmas needs (and then some). As an adult now who lives in Virginia, I'm so happy that I can keep up the Bronner's holiday traditions by shopping online. From personalized Christmas ornaments and gifts to professional level Santa suits, they have it all. Even our cats have their own hand-painted personalized tree ornaments. Tiny Prints is having a talent search!! How would you like to win $1,000, a $500 Tiny Prints Gift Card, and to be featured in the 2012 Tiny Prints Marketing Campaign!? Sounds good to me! To enter, Like Tiny Prints on Facebook and go to the Talent Search Tab in the left-hand column. Hurry! You only have until November 21st to enter. Click here for a copy of the full official rules. Have you heard? I'm the new contributing maternity writer for the What Mama Wants Blog. Head on over to say hi to Robyn and to read my full review on this adorable with bump, not plump tee. Disclaimer: I received a complimentary maternity tee from 2 Chix in exchange for my honest review. The opinions expressed here are my own and may differ from yours. 47% Off Piggy Paint Set from 8moms - Perfect Stocking Stuffer! Head on over to 8moms to get this exlusive group buy on Piggy Paint! For $9 (+s&h) you'll get a Two Polish Accessory Box including One Bottle of Neon Magenta Polish (LOL), One Bottle of Neon Green Polish (Eat Your Peace), One Nail Brush & One Foot File (a 47% savings). These sets make a fantastic stocking stuffer, and if you're not already familiar with Piggy Paint you're missing out! We're talking about a water-based polish made from natural ingredients that is SAFE SAFE SAFE for your children to use! I already snagged two for myself, so you're going to want to jump on this deal before you miss out. 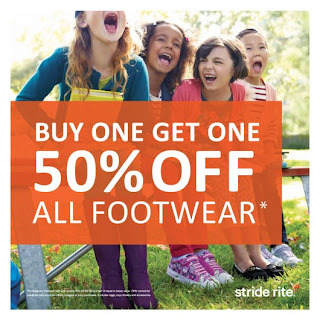 Click here for the full details of this deal. I can't believe that Thanksgiving is almost upon us. That means that the year is winding down (and I just got used to writing 2011!) and that our baby boy is getting closer and closer to arriving. Life seems to move so much faster since having kids. I thought I'd take a few moments and share with you all the things (or at least 100 of them) that I'm thankful for today. I'm not going to lie... writing this list was a little more difficult than I anticipated. It took me a few hours, but it was a deep refreshing look into my soul! If you're up for a challenge than write your own 100 (I'm sure a few of mine will help you get started) and leave the link in the comments section. GIVEAWAY CLOSED. Congratulations to Ann P. from North Carolina! I love Christmas traditions. Trimming the tree, listening to Christmas music, baking treats and watching ABC Family's 25 Days of Christmas to name a few. This year I'm so excited for a brand new (to us) Christmas tradition - The Elf on the Shelf. About Elf on the Shelf: Year after year, children and adults alike are baffled by the mystery of how Santa really knows who’s been naughty or nice. After much urging by the elves and Mrs. Claus, Santa has allowed his biggest secret to be revealed in The Elf on the Shelf: A Christmas Tradition . Touted as “The best thing since The Night Before Christmas” this gift set includes a North Pole pixie-elf, hardbound children’s book and keepsake box. Children can register their elf online and receive a special response from Santa. Since writing the piece I've come across this article on Babble that you must check out for a good laugh. FREE Thanksgiving Greeting Card from Tiny Prints - TODAY ONLY! By now I'm sure you know that you can count on me for great deals and savings from Tiny Prints. ;) Here's another great offer for TODAY ONLY, so make sure you don't miss out! Today you can get a FREE Customized Thanksgiving Greeting Card by using the promotion code FREETHX11 during checkout. Not sure who to send a Thanksgiving card to? This is a great opportunity to recognize someone in your life that might be a little under-appreciated. Maybe it's a fantastic mail carrier, or the pediatrician that you call at least once a week for advice, or a hard-working babysitter who is always there at a moments notice. We all have people in our lives that deserve a word of THANKS, and what better way to spread that cheer than with a free greeting card? ﻿Now that my bump is in full view with baby number two (tomorrow is already the beginning on my third trimester! ), people are asking me the inevitable portrait question - am I going to have maternity photos taken? And again people, the answer is NO! Not unless you include our yearly family photo for the Christmas card, in which I will be pregnant... but I find that more of a coincidence rather than a showcase of my growing belly.